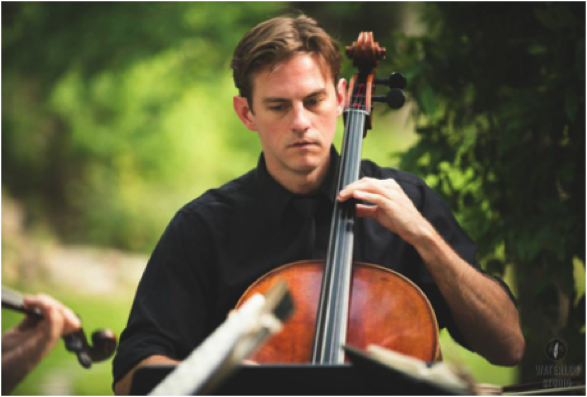 Tony Rogers is a cellist, educator, performer, arranger and composer. He performs regularly with The Austin Piazzolla Quintet, The Waterloo Trio, Jenifer Jackson, the multi-genre group Strings Attached, performs weddings on weekends, and onstage with symphonies, playing 70 public performances per year, teaches a few hundred lessons and directs the Austin Cello Choir every week on Tuesday evenings for cellists of all levels. In his spare time he organizes chamber reading sessions. Tony teaches private lessons out of his home in South Austin.